Brawl Stars, the much-anticipated mobile arena shooter from Supercell, will launch globally on iOS and Android devices on December 12, 2018. Pre-registration began in the middle of November and is still on-going. 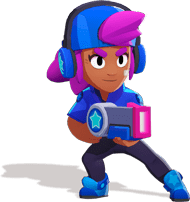 As part of Brawl Stars’ pre-registration campaign, players will be given a special skin for the Brawler Shelly should signups reach two million users before the game’s launch. Reaching roughly three million downloads during its soft-launch on the iOS last year, Brawl Stars looks to take the world by storm with its fast-paced and intense battle arena gameplay with a variety of game modes to choose from. Brawl Stars is developed and published by Supercell, the company behind mobile game juggernauts Clash of Clans and Clash Royale. The games eventually branched into the competitive scene and are featured in various esports events worldwide. Don’t forget to drop by our Brawl Stars Guide and Wiki page for strategy guides, tips and tricks, Brawler stats and databases, and news and updates!